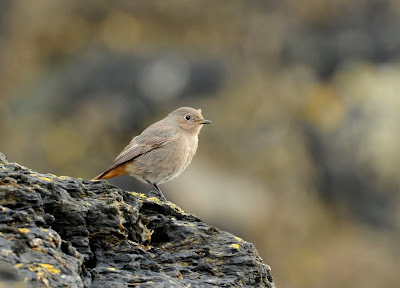 Black Redstarts are regular winter visitors in Cornwall and can usually be found near rotting sea weed, where food is plentiful. 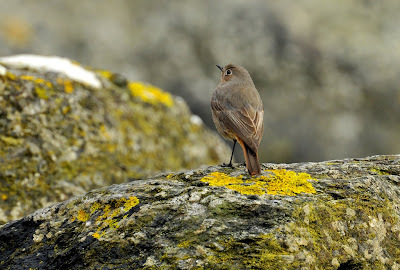 Two birds were seen today on the beach at Marazion. 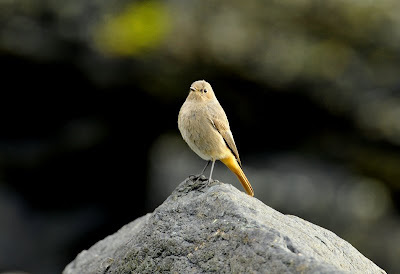 Where abouts on Marazion beach are the black redstart. And would I be able to get good shots with a 300mm lens. 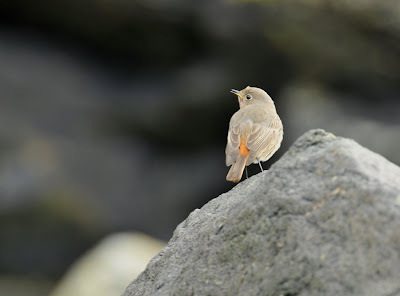 The Black Redstarts were feeding in the far eastern corner of Little London beach, against the sea defence wall. There is an obvious large boulder that you can hide behind to allow close approach. I spent about two hours there and eventually they came close enough to photo. 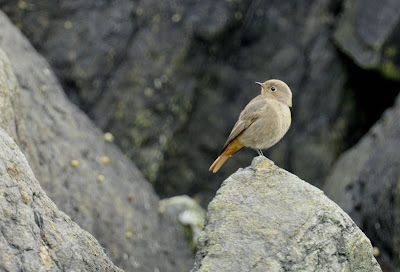 A 300mm lens should be OK on a tripod.